Super Bright 700watt IP65 Strobe/Washer, 48 led 15watt RGBW 7000hz scan rate, 16bit Dimmer, Barndoor, Beam agle 120 degrees, Strobe Flash 0-650ms. 48x 15 Watt RGBW LEDs. 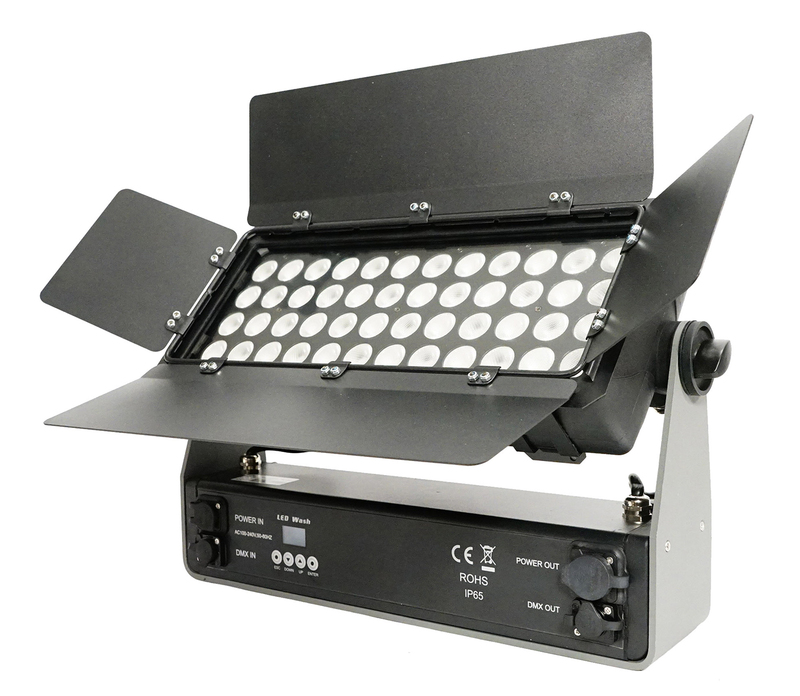 35° beam angle optics for each LED. Extra module with barndoors included. LEDs life span: approx. 20,000 +. Two section control (14 Ch mode). Auto, Stand Alone & DMX512. 1, 2, 3, 4, 6, 8, 9, 10ChD, 10ChF, 14 ChD & ChF. 16 bit dimming for each color and master. IP65 protection, suitable for outdoor use and architectural applications. Power Supply: 100/240 Volt, 50/60 Hz. Dimensions: 490 x 313 x 144 mm. 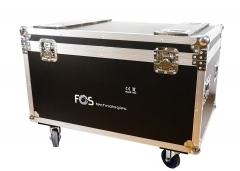 Flight case with wheels for 4 pcs F-7.